The Eels Family: [Article] Conversations over Drinks (Part 1): “Produce 101” a Scripted Show? [Article] Conversations over Drinks (Part 1): “Produce 101” a Scripted Show? Multi-talented. Free-spirited. A little bit bluff. Jang Keun Suk who will be 30 years old in Korean age this year seems just like those words we have heard of him. He is turning 30 years old this year, having spent his 29 years old full of troubles last year yet he is still that energetic. He was falsely accused of tax evasion charge last January and even edited out of the tVN program ‘3 Meals a Day’ even though the filming was completed. However, the tax evasion matter was already settled. The 30 year-old Jang Keun Suk is about to have a new starting point now. For the first time in 10 years, he has been appointed the sole host for Mnet’s ‘Produce 101’. He is a representative in charge of managing 101 female trainees. His talented gestures and words have gained attention since the first broadcast of the program. “At first I avoided (them) because I did not want to do it. However, they persistently followed me for three months. The PD was the same PD who worked with me previously for the X-Boyfriend Program but even so, I was still hesitant to do it. However, I accepted the offer in the end.” After the first broadcast, there was such a comment as “The show won’t be possible without Jang Keun Suk”. Reporter: How much (alcohol) can you drink? Reporter: Do you feel the physical change? 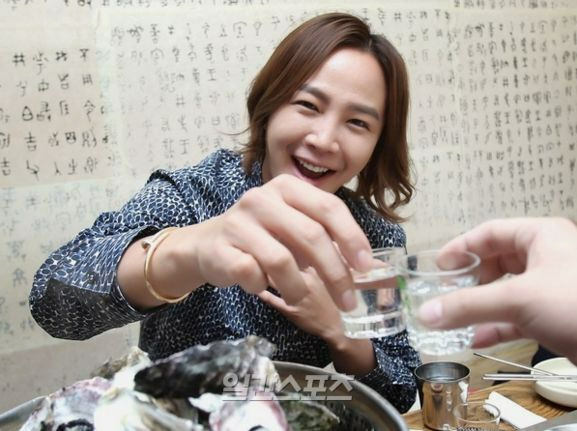 JKS: “I began to feel it since my late twenties. When I was in the early twenties, I could drink all night long and be perfectly fine to attend the class on the next day. Now I cannot do it anymore. When I start drinking, I would worry about my condition the next day and just stop”. Reporter: Any bad habits while being drunk? Reporter: Wouldn’t everyone try to catch you? Reporter: ‘Produce 101’ has been broadcasted. How is it? Reporter: Looking at the failed participants, isn’t it heartbreaking? JKS: "I’ve discussed a lot about that with the production team. From the very beginning, I have opposed the idea of putting the girls into different levels. However, come to think of it again, it’s not possible to debut 101 people. It might sound heartless to fail people but that’s the way this world goes"
Reporter: You have changed your mind? JKS: “There's nothing to lose when they fail in this program. Even before their debut, this way they have appeared on the media already. It’s an advantage to take for the marketing of the (re)-debut under their respective agencies. Also, they can be aware of their weaknesses and improve themselves." JKS: "Yes. I had been followed for more than three months. Reporter: Why did you not want to do it? JKS: "It’s acting that I want to do. Everyone has seen me as an entertainer rather than an actor. I felt embarrassed for reconsidering at first. When I was looking for a good work, the director of Mnet came to persuade me for three months”. Reporter: Since you are the Representative, were there trainees who caught your attention? JKS: "Of course there are some that caught my attention. However, seeing their progress during the practices, I change my mind. There are some who don’t work hard when they realize that they are liked. You can see it all through the camera." Reporter: The ones catching your attention are still there? JKS: "There are many good ones who have left. However, we still don’t know what will happen in the end." 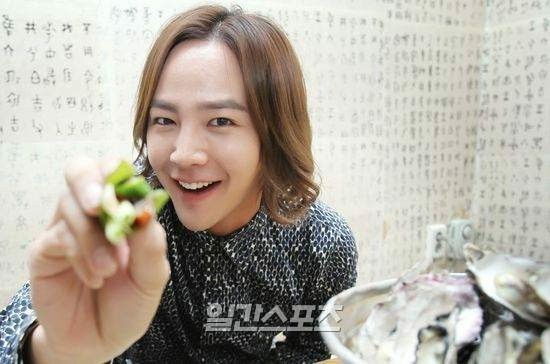 JKS: “I know that there was this terrible kind of comment about the program before it started. However, just like what I said previously, we do not have scripted winners. It bothers me so I would like to emphasize on this. It’s based on a nation-wide vote. We cannot fake the results but as usual, the public does not seem to believe it." Reporter: You seem to be interested in the trainees. Is it scripted? Or Ad lib? JKS: "I try not to look nervous. In any other audition program, everybody including the judges will look nervous. I would like to reduce the tension of the participants. They call me ‘Representative’ but they also talk to me just like a neighbor ‘oppa’. I don’t want to show a scary face." Reporter: This is not your first time working with Mnet? I remember ‘X-Boyfriend’. JKS: "Whoa… when was it… at that time male college students in their 20s liked watching that kind of program. Wondering about the person you didn’t see for a while, where the person would be, what they would be doing… it stimulated curiosity. That was the first time I met the PD who’s now in charge of ‘Produce 101’. " Thank you for this translation! Jang Keun Suk is doing a marvelous job on Produce 101, and his genuine caring for the trainees comes through easily. I am glad he has returned to television and will soon be in a new drama!